Bed And Breakfast968 sq. ft. In the town of Saze, 10kms from Avignon, in the quiet of the countryside, bed and breakfast, shared bathroom, double sinks, Italian shower, outside sanitary, a second bathroom, Italian shower, Separate WC, very pleasant Summer, in hot season. For your meals, breakfast, play, a large living room, TV, cd-dvd player, air conditioning, fireplace, guest table, reading area. 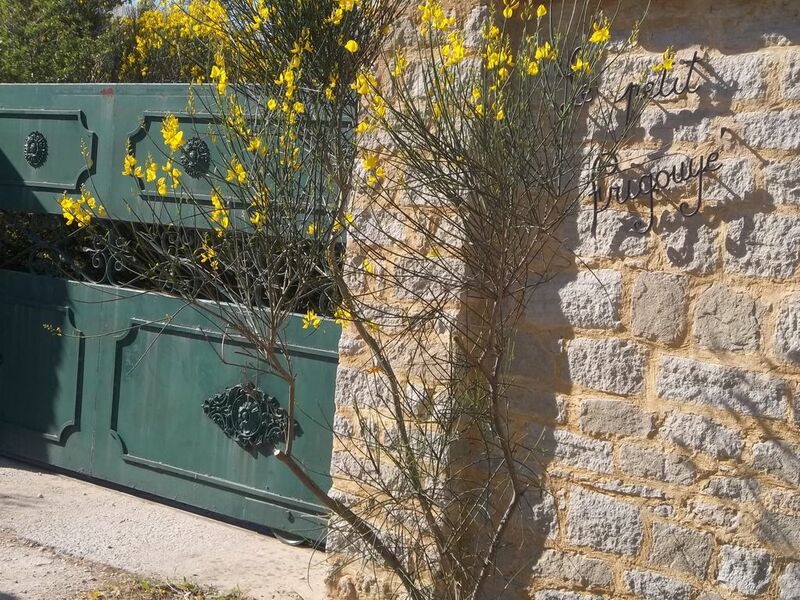 Around the house, 3000m2 of fenced land, under a flowery pergola, table d'hôtes, pizza oven, barbecue, possibility of self-preparation meals, breakfasts, closed outdoor kitchen, hotplates, fridge, microwave , kitchen utensils, crockery, for use, participation fee "" 5 € "" per day, per room. Closed parking, secure, free, covered parking for motorcycles, bicycles. At 50m, bus stop for the city center of Avignon, frequent passages. 2 kms, shops, restaurants, shopping center, the village. Group, family, hikers, bikers, cyclist welcome. The promise of a pleasant stay, family spirit, good child, atmosphere vacancy.